Our crystal collection includes the creamer, sugar, salt and pepper shakers, and our collection of stemware. Looks great with our crystal candelabra and small crystal votives. 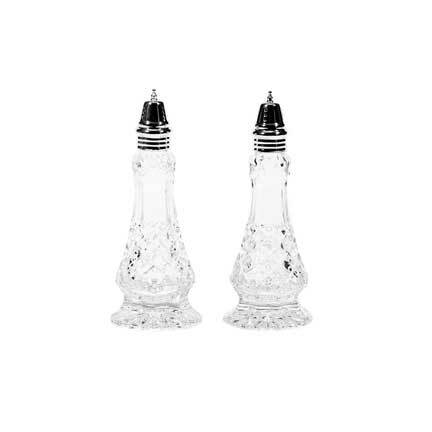 This salt and pepper set with silver tops are 8" tall.